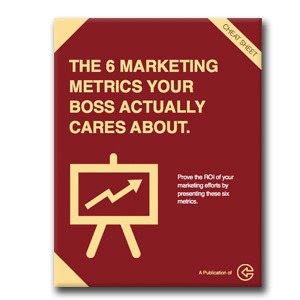 Create Your KPIs To Communicate With Your Teams. A good marketer, marketing team or marketing department can use any number of web analytic applications. Many chose Google Analytics but there are many others. In fact, our organization uses a combination of HubSpot KPI analytics and Google Analytics. Since more people use Google Analytics to evaluate and analyze their website marketing, this blog will use Google Analytics as our main reference. No matter which internet marketing analysis software you choose, the key performance indicators will be where you want to apply your focus and attention. These are the reports and components that offer valuable feedback that provide evaluation of your internet marketing efforts. For example, you will be spending time applying on-page SEO so using Google Analytics to monitor and evaluate keyword ranking will be important. You will be producing blog posts a few times per week and you will want to know as much as possible about the traffic and conversions that your content secures. Tag as much as possible - This will help you get a more complete picture or your website traffic. Clean & segment your data - The more you can filter top level data, the better the end result will be. Define your objectives - Distill the multitude of reports available in Google Analytics into the top key performance indicator metrics and reports. The end goal in this scenario is to produce the right KPIs and align them with key personnel in your organization. This will help these key people to "buy in" to what you are doing and get them the information that is most important for their particular job function. Also remember that Google Analytics is really nothing more than a free data gathering and reporting tool. The point is that although GA will do a fantastic job in reporting data, it is you and your marketing team that must use this information to make the needed improvements. Google Analytics will not optimize your site for you and will not make corrections based on the report data without you. This is one of the more important reasons why the right key performance indicators are critical. The right KPIs will make it easier for you and your teams to know what data is most important and therefore understand what needs your attention. You don't want to analyze, interpret and act on the information that doesn't matter. The right KPIs tell you what information is the best for you to act on. To communicate your findings effectively to your stakeholders, you must create these reports in a format and language that other team members and management can understand. This means creating the best key performance indicator metrics. Key performance indicators assess performance in a language all key players can understand. Sometimes key performance indicators are referred to as key success indicators of KSIs. 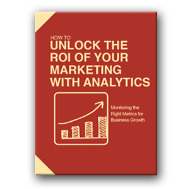 KPIs are business intelligence used to make improvements to all critical components of the internet marketing efforts. To learn much more about producing effective key performance indicators, you can download our comprehensive eBook by clicking on the image of the eBook to the left. If at any time you feel you need more direct assistance, feel welcome to contact us directly to schedule a discussion and Q & A session. Our goal is to both provide you useful information on demand but to also offer our expertise in the form of marketing services. You can reach us by calling (941) 927-2028. There are other eBooks available on our free internet marketing eBook web page.